ACD Distribution Newsline: Precious Cargo! New from Winning Moves Games! 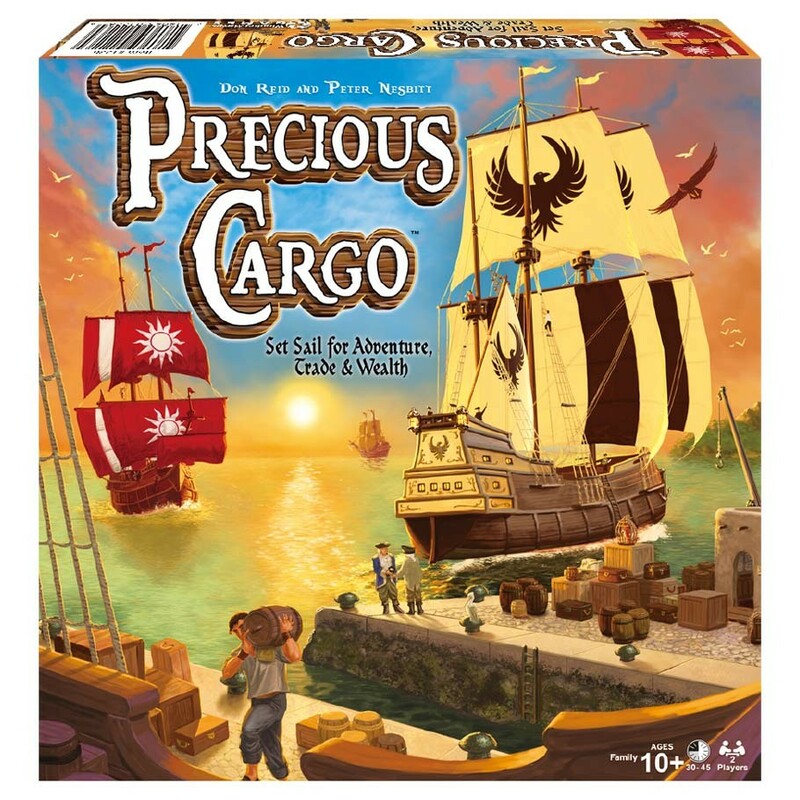 Precious Cargo is a 2-Player game in which players compete to make their fortunes on the high seas. Build a merchant fleet and set sail to buy and sell precious cargo! Move each ship up to one space for each sail on it. The winner of the game is the first player to collect 25 gold.